Many — in fact, a slight majority — of tenants want to keep pets in their rental home. For some, a pet-friendly property is the top priority when apartment-hunting. Allowing pets can create a larger pool of qualified applicants, lower vacancies and turnover, and make for secure and happy tenants. However, many landlords fear irresponsible pet owners and the income loss that can result. The New Hampshire Humane Society created a unique program that serves as a model for bridging the gap between pet-loving renters and their landlords by creating a pet screening process. The first stage in the NHHS’s screening program is to teach tenants how to be responsible pet owners. Those who make the grade are allowed to join a referral service with landlords willing to accept pets. In addition, the NHHS experts are available, free of charge, to go onsite and consult on pet policies. Many of the suggestions offered by the NHHS can be helpful to any landlord considering a tenant with a pet. For instance, an animal’s behaviour may be adversely affected by restrictive pet policies on the part of the landlord — like a one tenant, one pet rule. In some cases, a second pet may actually make life easier all around. 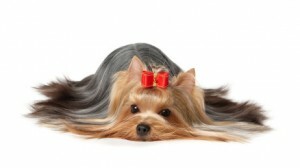 For a pet that spends a lot of time alone, a playmate will help alleviate boredom, which minimizes the risk of damage. Limiting animals to a certain size is another unsuccessful strategy. It’s not the animal’s size which determines how well it will do in rental housing, it’s the energy level and exercise requirements, and other factors, like age and temperament, that are most important. NHHS experts also try to dispel the fear that if one tenant has a pet, everyone will want one. The problem is not so much the pet, but the level of responsibility of the owner. By focusing on the tenant, not the pet, landlords cannot minimize income loss without punishing all tenants for the actions of a few. Careful screening of prospective tenants is a crucial step to a successful pet policy, according to NHHS, which has developed the list of sample questions below. It is also suggested that the pet attend the interview so the landlord can observe the tenant and animal together, witness how social the animal is, and whether it appears to be well-cared for. A well-groomed, well-behaved pet is one of the best signs of a responsible pet owner. What type of pet (s) do you have? Do you have a letter or other documentation from your veterinarian stating that each pet is in good health and is up to date on all his/her vaccinations? Has the animal been spayed or neutered? What obedience training has the pet undergone? Does your animal have any known medical or behaviour problems? If so, what treatment/ training is he or she receiving? How does the animal get along with other animals and people? Have there been any complaints about your pet at your current address? How did you resolve them? Did your pet (s) cause damage at your current address? If so, did you pay your landlord for all the damage done? May I contact your current landlord to discuss your pet further? Would you object to my checking in on the pet after you move in? Who will care for your pet (s) when you go away on vacation or business? Have you made arrangements in your schedule for proper exercise or activities with the pet? Are you a member of a Humane Society or similar organization? Careful screening can make all the difference in avoiding income loss and keeping a pet-friendly rental profitable. Having been a long time pet owner and observer of other owners, the main issues with pets in rental units or condos are barking dogs disturbing other tenants, cats who violate other tenants outdoor areas, dogs who track hair and dirt and smells into elevators and dogs who intimidate other tenants or owners because of their size and breed. Your assumption that another pet for company can alleviate bad behavior may be true, but it can also exacerbate it with 2 dogs barking at every little noise. I do think the size of a dog is a considerable issue – bigger dog, bigger voice, more dirty foot prints, more need for space and exercise. I have also been assured by owners that their dog is old and very laid back only to find a poorly socialized, somewhat aggressive old dog who is cranky because of health problems due to aging. The owners of the animals can make all kinds of assurance as to their habits and behaviors but once the animal is there, it is very difficult to get rid of it if behavior becomes an issue. Dale further to your comment, I agree with you, once they’re in, they’re difficult to get out. I guess this all goes back to making inquiries with the current and perhaps previous landlord. In a scenario like this and I’m not saying it’s a 100% solution but it will certainly HELP to determine whether the pet was/is a problem. Contact the current landlord, ask some devious questions. i.e. so Mr/Ms. prospective tenant advised me that there were some issues between you and him/her with respect to Sammy the dog, what was the problem? Solicit answers to these kinds of questions. Were there any complaints about the dog? Prospective tenant states that Sammy only barks periodically, were there complaints about incessant barking? Did the dog soil the carpet in the rental? Was the security deposit fully refunded to prospective tenant? In instances like this I would suggest that the landlord has to be a bit of a pit bull bull in terms of tenant screening. It’s your property, and your responsibility to screen thoroughly. Other solutions/comments would be appreciated. Like Dale says, once they’re in…it’s tough to get them out!